Albanian Bektashi celebrate today (March 22) the Nevruz day. 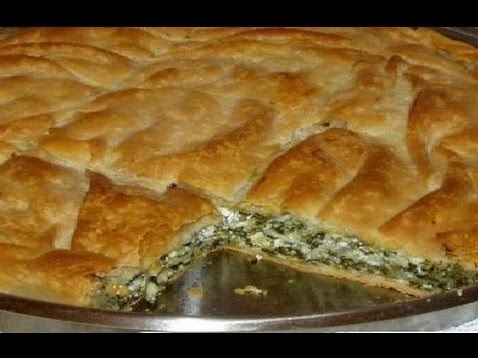 In this case Bektashi cook typical dishes, as burek (pie) with 12 different kinds of herb (poppy, spinach, leeks, onions and zucchini, cabbage, sorrel, garlic, dill, nettles, dock, parsley, mint). 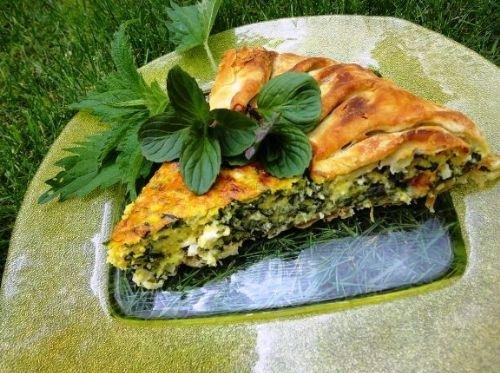 Land plants symbolize the new life that blooms in Spring and prosperity, inside the pie is inserted a coin. 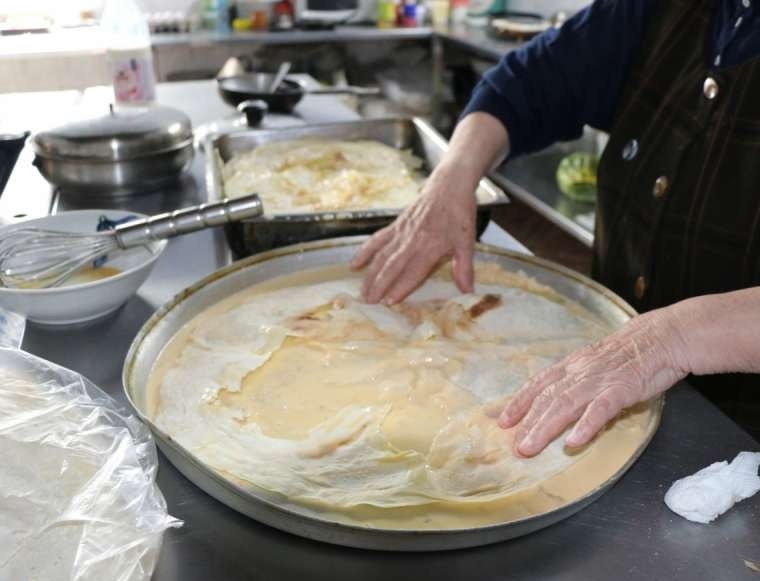 Once baked the pie is divided by housewives on pieces and then is given to each of the family members a piece of the pie. The person who finds the coin inside his pie is lucky, will pass a prosperous year of prosperity. This day is cooked grits with chicken or lamb, roasted lamb and "hashurja" that is a symbol of this day. In this day of celebration is drunk a glass of milk, symbolizing the birth of a new day; the distribution of the milk is another characteristic of this day. No matter what kind of animal will get sacrificed (Kurban), because it depends on the opportunities that people have, it is important that the Kurban to be done, the pie with the coin and hashurja. Pour the sieved flour in a bowl, make a small hole in the middle and add water, a little salt and 2 eggs. Work the dough by hand until it becomes elastic, optionally, pour a little butter to work better. Open the dough in foils and leave then aside. In a saucepan cut the spinach, cabbage, leek, parsley and other leaves and cook for few minutes (4-5) on slow fire, not more because will be cooked more when the pie will be baked.